The result is a London Dry Gin of singular character. Cutting corners would save us time, but it would lead to an inferior spirit—and we make gin, not compromises. Our steadfast approach may not make our lives easier, but it certainly makes our gin better. Lovingly made by hand in small batches, according to traditional techniques and with the highest-quality ingredients, our craft gin is smooth and rich enough for a Martini, yet balanced and sippable enough for a G&T. After all, craft isn’t just a matter of style—you can taste it in the glass. 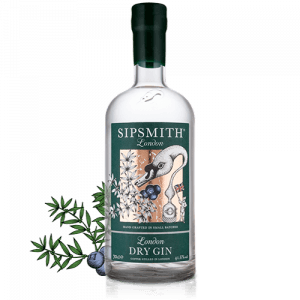 Uncompromising in flavour, and uncompromising in ethos: Sipsmith London Dry Gin sets the standard for all that gin can be. A spirit must taste predominantly of juniper in order to be classed as a London Dry Gin, which is why we’re lucky to have one of the best juniper guys in the business. He sources our prized juniper berries, which we macerate in our copper stills overnight in order to extract every ounce of their complex flavour and aroma. You can’t make an exceptional gin without exceptional juniper—and our carefully selected botanicals are one primary reason our gin tastes so outrageously good. Every gin distillation has three stages: a beginning, middle, and end (or, to borrow our distillers’ terminology, the heads, the heart, and the tails). The heads contain chemical compounds that make them unsuitable for gin production, and the tails are typically low in alcohol and carry undesirable sulphates. Neither is good enough for our London Dry Gin: instead, our expert distillers taste every single batch and select only the highest-quality heart cut to go into our bottles. Speaking of: we like our gin to look its best, which is why we dress it up in our beautiful bottles, complete with one-of-a-kind, illustrated labels. For a finishing touch, we also hand-dip every bottle in emerald-hued wax, list a batch code on the back of every bottle, and even have a Latin phrase—“Cygnus Inter Anates,” or “Swan Among Ducks” inscribed on the bottle’ base. Those touches all reveal the meticulous attention to detail we bring to each element of our small-batch gin. 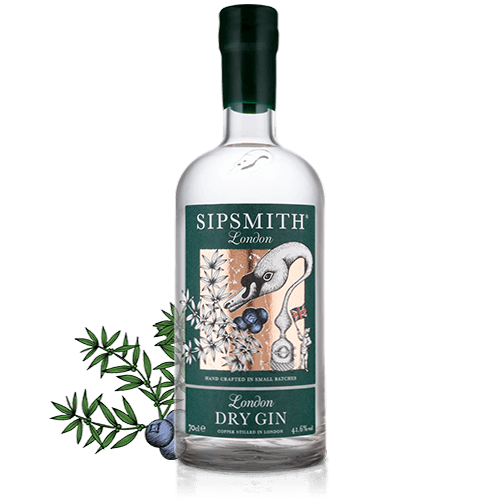 New to Sipsmith London Dry Gin? Find our more here, or learn how to make the perfect Sipsmith G&T.